The simplest way to achieve simplicity is through thoughtful reduction. Organization makes a system of many appear fewer. Savings in time feel like simplicity. What lies in the periphery of simplicity is definitely not peripheral. More emotions are better than less. Some things can never be made simple. 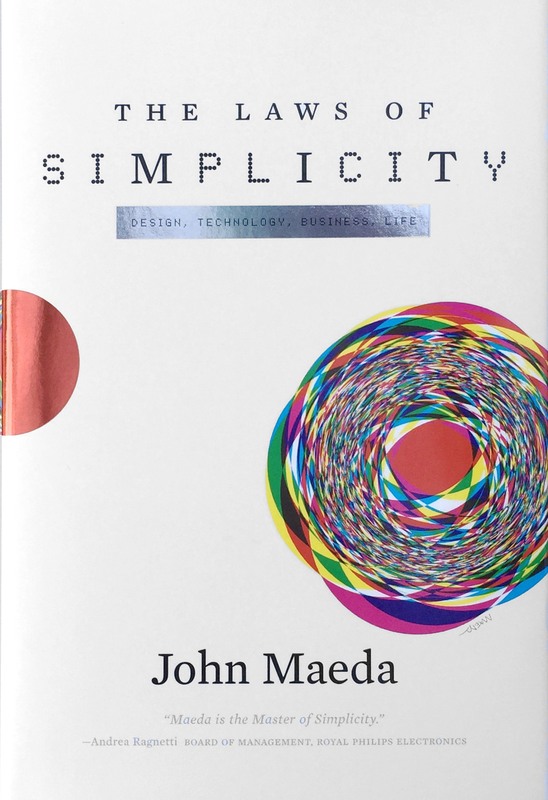 The Laws of Simplicity is a 100-page book I wrote just as the Apple iPod was starting to take off and while I was earning my MBA as a kind of “hobby.” LOS has been translated into more than 14 different languages -- and has now been around for over a decade. I never finished the sequel to LOS, but I wrote a short book on design, tech, and leadership as a form of therapy, entitled Redesigning Leadership. Thank you for being curious about the Laws of Simplicity. A lot has changed in the technology world since I first wrote it, so I hope that you can use the parts (and Laws and Keys) that appear to be standing the test of time. 6/11How Many Engineers Does it Take to Turn on a Light Bulb?